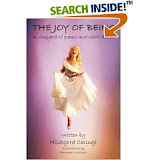 In her book, The Joy of Being, author Hildegard Caringi presents a series of short stories and poems that are put together to portray a unique compilation that is part memoir and part prose. Revealing how she conquered adversity to discover the joy of living, Caringi shares a personal story of struggle and survival. Readers are taken back to post World War II Germany where the author is a young child trying to survive the treacherous aftermath and extreme hardships that she and her family endured. Her journey is one of growing up in the most challenging situations to eventually immigrate to the United States. Caringi provides a candid and in depth of account of the suffering she endured that included losing her father and other family members, worries of starvation, as well as fears of being killed. Throughout the harsh conditions that she faced, her mother was the strength that held the family together. Caringi reveals that her mother provided the unconditional strength and love that helped the family survive the most difficult times. Hildegard Caringi has lived a remarkable life filled with fear, loss, friendship, and unconditional family love that shaped her character and faith. As a story written over a lifetime, it reveals the true spirit of living that will touch the hearts of all readers.